Kennedy was a man of justice. But, so far, justice has not been served in this case. And I feel obliged as both a shooting victim and as an American to speak out about this – and to honor the memory of the greatest American I've ever known, Robert Francis Kennedy. The evidence clearly shows you were not the gunman who shot Robert Kennedy. There is clear evidence of a second gunman in that kitchen pantry who shot Robert Kennedy. One of the bullets – the fatal bullet – struck Bob in the back of the head. Two bullets struck Bob literally in his back. A fourth bullet struck the back of his coat's upper right seam and passed harmlessly through his coat. I believe all four of those bullets were fired from a second gunman standing behind Bob. You were never behind Bob, nor was Bob's back ever exposed to you. Van Praag also found what he calls "double-shots" – meaning two gunshots fired so close together that they could not both have come from Sirhan's Iver Johnson Cadet revolver. Van Praag actually found two sets of these "double-shots". 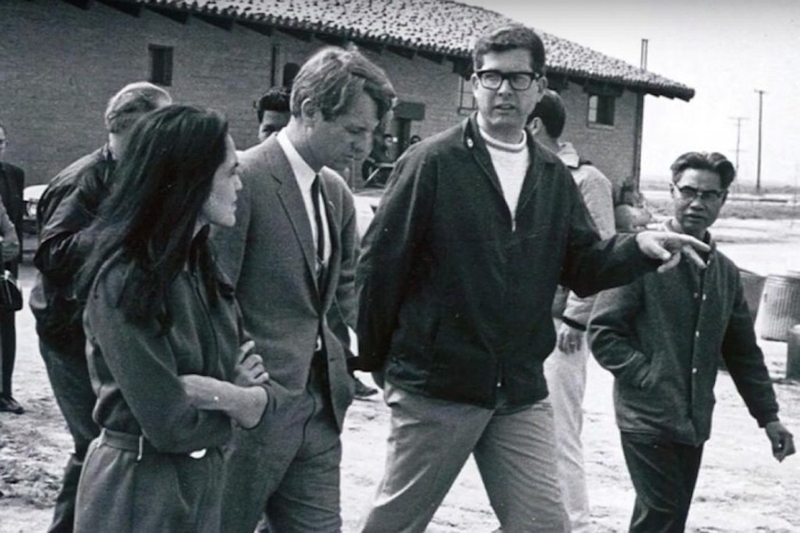 Indeed, the LAPD and L.A. County District Attorney knew two hours after the shooting of Senator Kennedy that he was shot by a second gunman and they had conclusive evidence that Sirhan could not – and did not – do it. The official record shows that the prosecution at Sirhan's trial never had one witness – and had no physical nor ballistic evidence – to prove Sirhan shot Bob Kennedy. Evidence locked up for 20 years shows that the LAPD destroyed physical evidence and hid ballistic evidence exonerating Sirhan – and covered up conclusive evidence that a second gunman fatally wounded Robert Kennedy.